Many of Oppie's colleagues, students and family members are here: Edward Teller, Hans Bethe, his students Robert Serber and Rossi Lomanitz, General Leslie Groves, his wife Kitty, brother Frank and old girlfriend Jean Tatlock. The conversations take place at Los Alamos, at the Oppenheimer home, at his office in Berkeley and at Spanish Civil War Relief Fund parties. They tread on many topics including socialist politics, bomb theory and fission and army compartmentalization. But much of the dialogue between the characters is trite and uneventful. At least some of it is based on dialogue from BBC's "Oppenheimer" TV series - a far better dramatized treatment of Oppenheimer's life and times which is worth watching. The whole point of fiction is to communicate what non-fiction cannot, and the play largely fails to do this. Once or twice the dialogue seems to soar into poetic metaphors, but then falls to the ground with a sigh, as if the complexity of Oppenheimer's life was too much to bear. In addition the work is too short to give itself enough runway to even attempt such flights of imagination in the first place. There are also the historical errors which riddle the conversational settings. Since this is a work of fiction, these inaccuracies might have worked had they actually said something consequential and novel and been there for a reason. But since the fiction only seems to be a retelling of the non-fiction, the inaccuracies glaringly stood out in my mind. 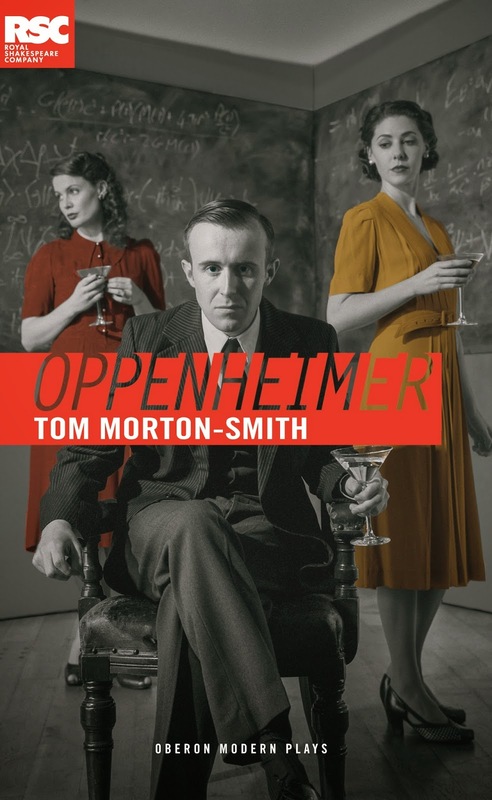 One example is the scene when Oppenheimer asks his student Robert Serber's wife Charlotte if she would like to adopt his daughter - he did no such thing and actually blurted out the strange request to his wife Kitty's friend, Pat Sherr. Another scene has Oppenheimer revealing the name of his communist friend Haakon Chevalier to General Groves and army security under threat from Groves - this is a disservice to actual events in which Oppenheimer named his brother Frank to Groves in private. Finally, why the bizarre theme of having Oppenheimer and his colleagues in military uniforms throughout the war? In reality this possibility was considered by Oppenheimer at the very beginning, then quickly rejected when he realized that most of his colleagues would rebel and refuse to join the project if they were subjected to such formal military discipline. It's worth reiterating that these errors of history might have been effective devices had the play offered something substantial and revealing through them, but they serve no such purpose. Instead they only serve to complicate a rather drab, selective and simple narration of a few key scenes from Oppenheimer's life. It never gives me any pleasure to write a negative review of a book or a play, especially since I know from personal experience how much effort it takes to put pen to paper and produce a body of work, no matter how slight. But as much as I appreciate Mr. Morton-Smith's efforts, I feel compelled to point out its flaws, especially because the subject of this effort is one which is close to my heart. If you want a searching work of fiction that reveals the agonies and the brilliance in Robert Oppenheimer's soul this is certainly not it. In fact that work has yet to be written. In the meantime you would probably be better off reading Richard Rhodes's seminal book on the bomb or Ray Monk's magisterial biography of Oppenheimer.